Portugal succeeded in getting fado, a traditional music genre, listed by UNESCO as an intangible cultural heritage in November 2011, amid an array of fado-related events and promotions. That’s all very well for those that like listening to it but if I have to hear Mariza complaining that “it wasn’t me who left the door open” one more time, I think I’ll have to sew my ears shut. I can take small doses of fado, and actually really enjoy the accompanying Portuguese 12-string guitar and viola music, but the melancholic voices of fadistas tend to grate. Although the lyrics can cover a wide range of subjects, the overriding sentiment of fado is saudade, which roughly translates as lament, giving the songs a mournful tone. I prefer more cheerful songs. I accept that I’m not an aficionado and that to fado fans, the music and voices may be truly sublime and that a heartfelt performance can touch them to the very core of their being and have them sobbing in their seats. But, as the saying goes, each to their own. I don’t think I’ve ever heard fado played at ‘local’ restaurants in Portugal but go anywhere touristy and it seems to become an obligatory soundtrack to meals. I even had to listen to it over breakfast in one guest house in Coimbra. And anyone who’s wandered around Lisbon’s Bairro Alto at night will have been accosted by touts trying to drag them into the various fado houses there. While some appear to be tourist traps, Tasca do Chico is supposed to be pretty good. Apparently the ones in Alfama are better, more authentic performances but I can’t vouch for that. The only Lisbon fado house I have been to has since closed down. 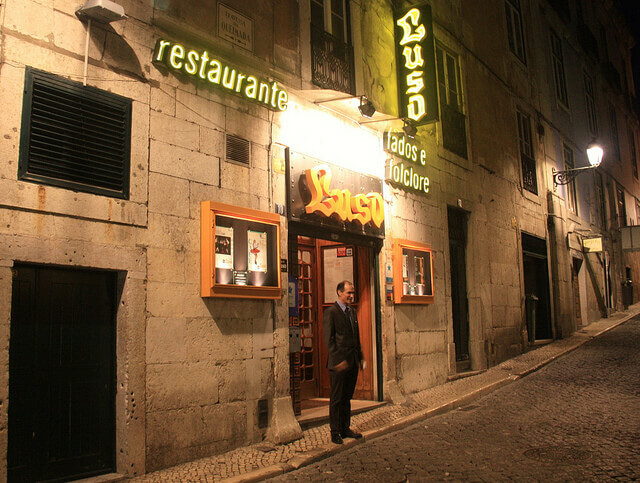 For a theatre-style fado performance in Lisbon, with professional musicians but without an overpriced mediocre meal, there is Fado in Chiado, which has regular performances at the reasonable time of 7:30 pm. Buy tickets online here. I suppose if you’re only in Portugal for a short time, the music can be quite charming, even if you don’t understand the lyrics. You might even take a CD home with you to evoke memories of sunny Portugal when you’re back in your own cold, grey climes. But for those of us who live here, the novelty can soon wear off, especially when it seems that all participating restaurants play the same album. Over and over again. Like many things in life, the live experience is more powerful and emotional than a recording and that’s certainly true of fado. Even I enjoyed the intimate, reverent and slightly spiritual atmosphere at À Capela in Coimbra. I sat beneath a vaulted ceiling, sipping a nice bottle of Portuguese red wine and nibbling from a plate of cheese watching Coimbra fado being performed under an ancient stone archway. I barely understood a word of Portuguese at the time but was quite captivated by the passionate performance of the men on stage. I think the wine helped, though. Coimbra fado differs from Lisbon fado in that it is sung by black-caped academic men instead of a woman with a shawl and is deemed to be more ‘classic’ or elite than Lisbon fado, which originated in the port districts of Lisbon in the 1830s. Another difference between Lisbon and Coimbra fado is the way that audiences applaud. You can reward the ‘popular’, working man’s fado of Lisbon by clapping but to show your appreciation of the snootier version in Coimbra, it’s more appropriate to cough, apparently. I didn’t know this so I clapped, along with everyone else. The best place to learn about Coimbra fado is a cosy cultural space known as Fado ao Centro. 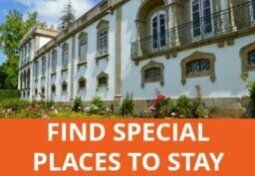 The passionate musicians and fado fans that run this place offer daily 1-hour shows at 6 pm with possible later shows during peak periods. It’s best to buy a ticket in advance. 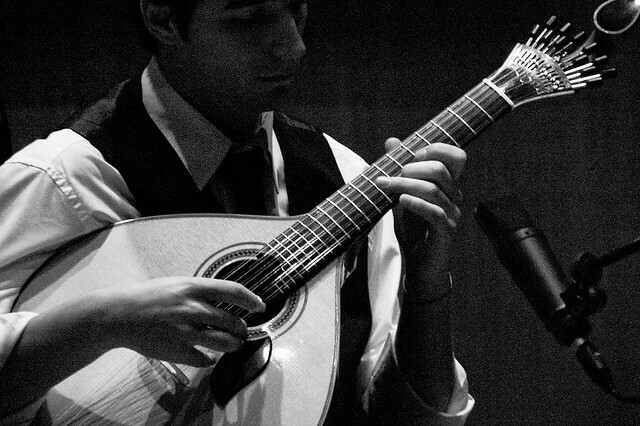 Whether I appreciate it fully or not, fado is something that Portugal is proud of and its people feel strongly about. 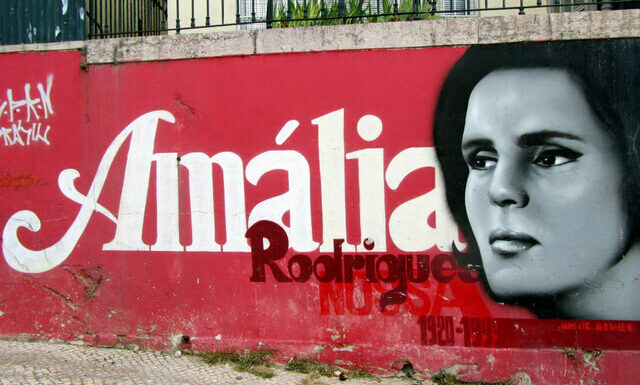 If you’re looking for evidence of this, consider the three days national mourning and the state funeral that followed the death of Amália Rodrigues, the ‘Queen of Fado’, in 1999. Her tomb is in the National Pantheon in Lisbon and still attracts fresh flowers. If you want to listen to Amélia at home, here’s the Queen of Fado album. 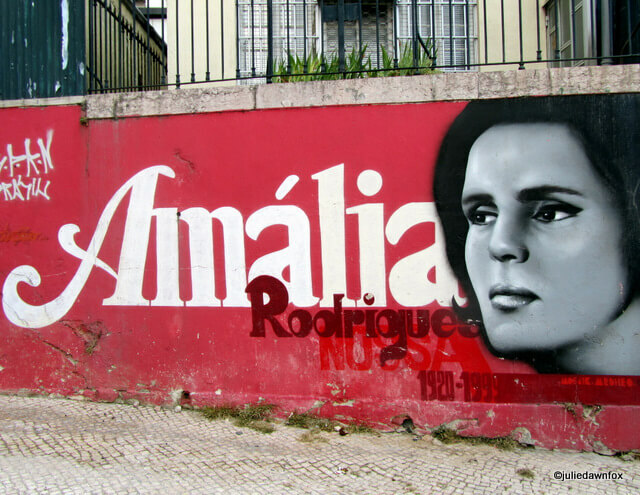 Thanks to Amália, fado‘s popularity spread throughout the world in the 1950s. 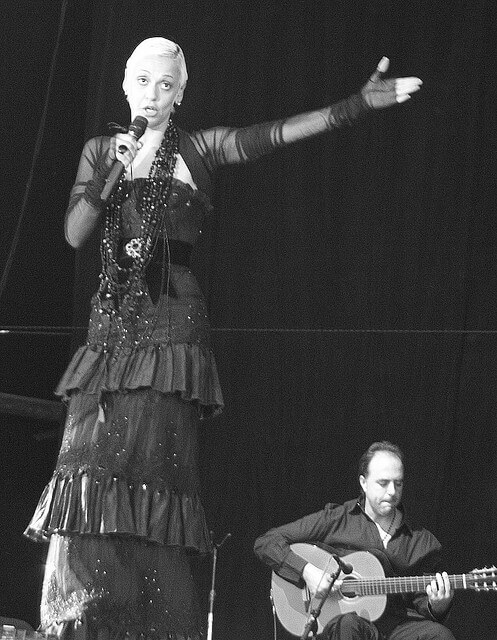 Her reign was taken over by Mariza, who shot to fame in 2001 with the hugely successful release of Fado em Mim. Ana Moura is currently giving Mariza a run for her money. Whilst I’m not keen on fado, I do quite like the increasingly popular band, Deolinda, probably because they do slightly jollier sounding tunes. Although Deolinda’s music is inspired by fado, and the singer has the distinctive trill in her voice, they don’t use the traditional Portuguese guitar. With lyrics that are humorous, ironic and political, they are unsurprisingly popular with students and the younger generation and have become the headline band in many festivals around the country. Here are a couple of their videos as a taster – enjoy (or not!). A few of the things that I have always taken from Fado music is that yes it can focus upon the ‘Dark Nights of the Soul’, but I always use that as a keen reminder to enjoy life to the fullest. It is a reminder to never take life and loved ones for granted. To be just as passionate about all aspects of our lives. In that respect, I do believe that Fado can be seen as a springboard to deepening one’s life in all areas. For just as life will at times spring towards the darkness it must also return to the light in due course. 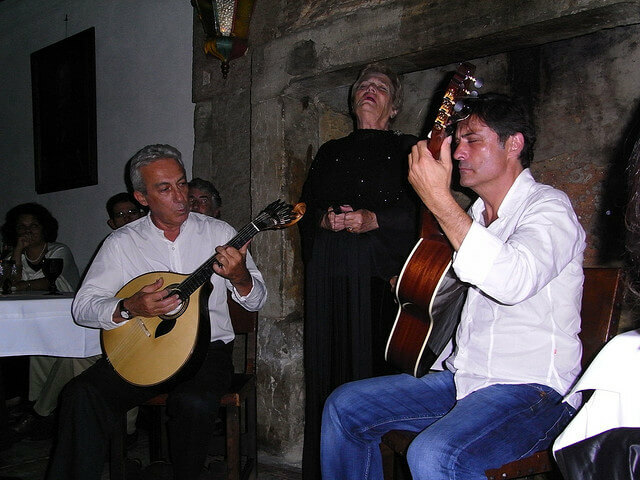 Personally my wife and I enjoy fado vadio as well as the examples from Coimbra (A Capela in particular). The reason you are ambivalent is because you fail to see the positive and uplifting aspects to the lyrics. Example: If you play fado in reverse, you will have divested yourself of an overpriced casa, a petrol gusseling vehicle, a bitchy love interest, the mother-in-law and a layabout family. What’s not to love? Hello, I’m portuguese not an huge fado fan, but of course I’m proud of it. Just want to make a remark, Deolinda have nothing in comum with any kind of fado. It’s a folk songs based group, they use a lot of sounds and rithms of the popular songs, like fandango, vira or corridinho. And of course the lirics are mostly political. Sounds a lot like Flamenco in Granada. I tend to side with you in that it is definitely an art form, emotional, and very much appreciated by both tourists and afficionados, but I have yet to hear a Flamenco sound track in a run of the mill Spanish restaurant. I guess you have to say “to each his own” at some point. After all, the US has come up with both jazz and country music…go figure! Had never heard of Deolinda, but then I left Portugal 5 years ago. Her songs are a bit more cheerful. P.S Forgot to say that Deolinda sound great and thanks for the tracks! Hi Julie! Brave of you to take the unfashionable view. Personally I do love it, but then I can be a morbid soul at times. As you point out it’s probably very different when you’re subjected to it all the time. 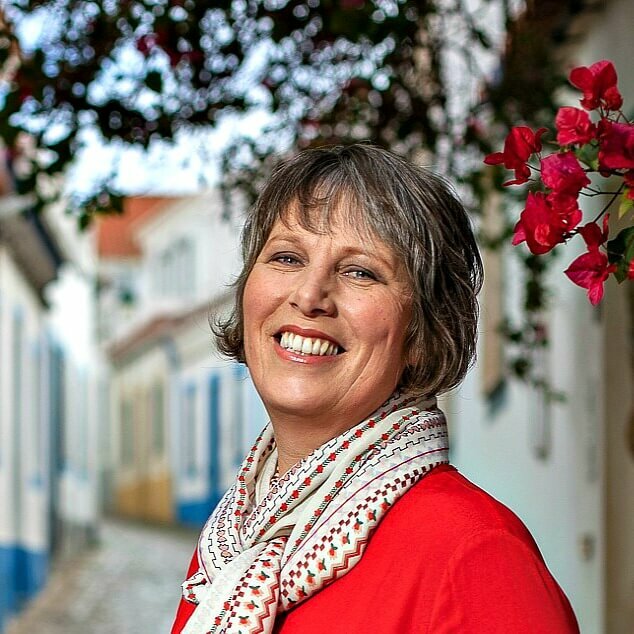 We have a restaurant in Santa Luzia where the food is superb (Casa do Polvo) and they have Fado nights but they’re quite merry affairs and really try to involve the audience of all nationalities. 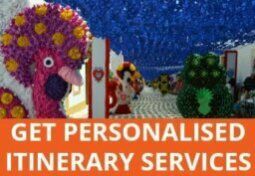 They poke a little gentle fun at us foreigners and laugh at themselves. Never been to one of the main events- would like to though. Good post! Thanks for an interesting and informative post. I’d never heard of fado before. Now I am curious! Thanks – can only take credit for the graffiti photo though! Good Post! 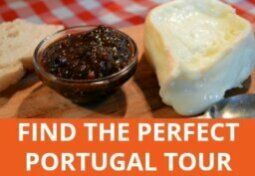 – I’ll look and listen out for this next time I visit Portugal! Learnt something new! Had no idea what fado meant!